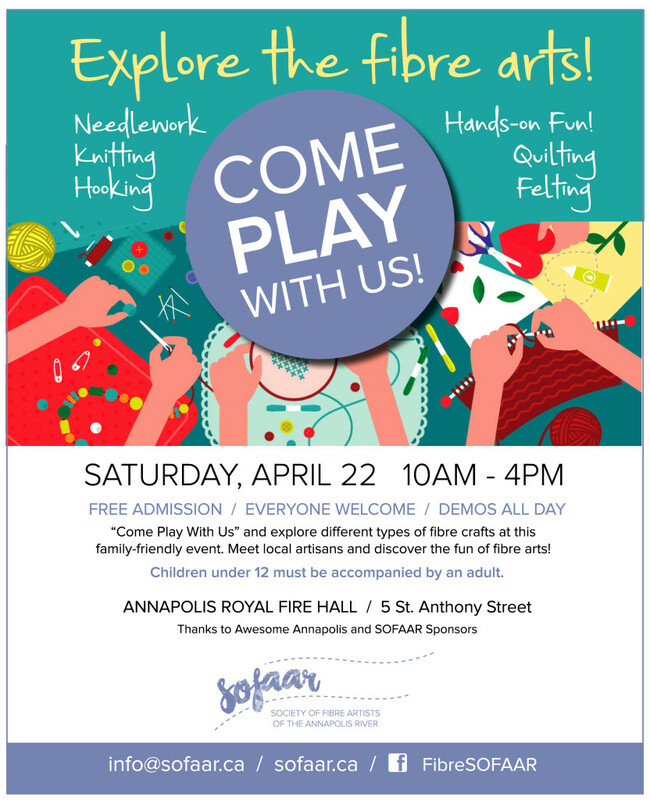 SOFAAR is hosting an open door, hands-on public fibre exploration event at the Annapolis Royal Fire Hall on Saturday, April 22nd from 10 to 4 pm. We encourage all SOFAAR members and the general public to come out and explore the fibre arts. There will be crafters of all sorts working away and demonstrating their love of all things fibre. We will have: quilting, hooking, felting, needlepoint, cross-stitch, embroidery, knitting, crochet, basket-masking and much more! You will be able to touch and try your hand at different techniques. Everyone is welcome! Hope to see you there.